Hill, the top 20 UK housebuilder, has launched an exclusive collection of just 12 prestigious family homes at Swaffham Prior in Cambridge. 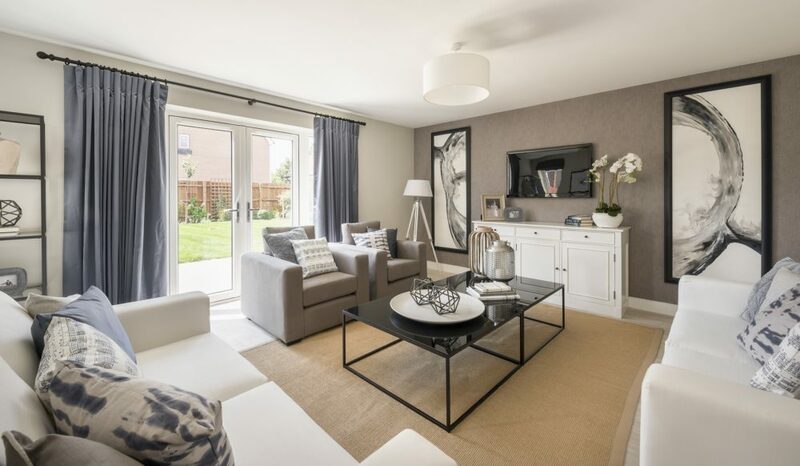 Mill Grange, as the development is named, comprises three, four and five bedroom detached houses, each of which offer the very best in modern living. These homes have been designed in harmony with the traditional character and history of Swaffham Prior. Externally, these homes echo the village architecture, including two homes which replicate the beautiful black timber cladding from the nearby Foster’s Windmill. Internally, slick lines and a high specification reinforce the high quality design. Timber fencing and native shrubbery provide privacy for those looking to relax in their spacious gardens. All properties feature contemporary kitchens with stone grey cabinetry, quartz worktops and built-in appliances. Bathrooms meanwhile offer crisp white sanitaryware, which is offset with stylish chrome fittings and ceramic tile flooring. Underfloor heating runs throughout the ground floor of each of the new homes and solar photovoltaic panels attached to the roof help to capture the sun’s energy and keep energy bills to a minimum. Swaffham Prior is a historic village that is rich in heritage. Many of the houses date back as far as the 17th century and continue to retain their original character. Every Mill Grange home purposefully mirrors the attractive patchwork effect of these traditional village rooftops. Mill Grange is located less than 10 miles from the vibrant university city of Cambridge, which boasts a superb range of shops, restaurants and bars, in a beautiful medieval setting. Commuters can be at London’s Kings Cross in under an hour, with direct train links from Cambridge Station. Prices at Mill Grange start from £475,000 for a three bedroom detached home and range up to £750,000 for a five bedroom detached property*.To find out more visit www.hill.co.uk.